Art Primo: Blog - Free shipping is back! Don't miss out! This is a limited time holiday promotion. Orders over $150 ship FREE within the US (continental US only). To get FREE shipping, log into your ArtPrimo.com account, add $150 or more in product, check out and select the FREE shipping option. Your order will most likely ship Ground with either UPS, FedEx, or OnTrac. Make sure your address in your Art Primo account matches your shipping address when you pay. Free and Flat Rate shipping are not available to wholesale customers. Are you buying a gift for an artist? Not sure what to get? Call us, we're artists too and would love to help you pick out the best stuff! 206-365-4083. *If you are not located within the continental US and your order is over $150 we will hook you up with a special gift free with your order. 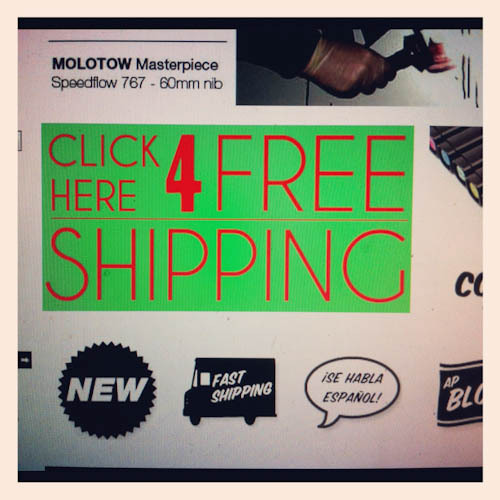 Home » Art Primo: Blog » Free shipping is back!